City of Om is looking to spread good vibes through yoga, community, green practices & giving back! 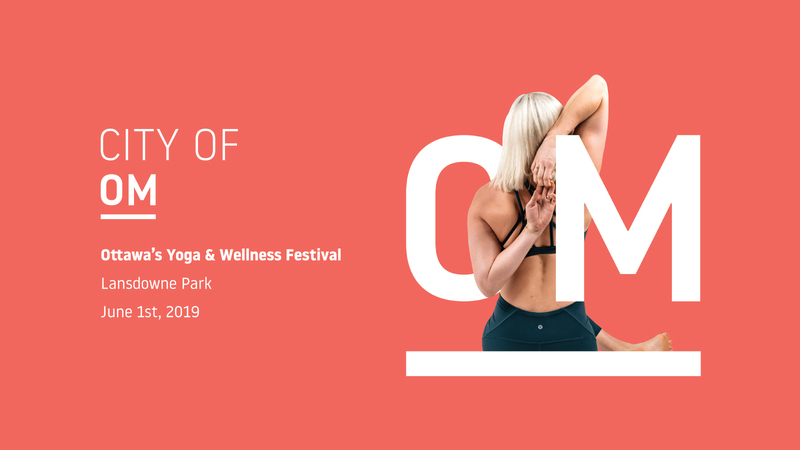 City of Om 2019 is back for its fourth year and will be taking place the urban landscape of Ottawa’s Lansdowne Park on June 1, 2019. Adding to Ottawa’s already stellar festival season, the yoga festival will feature a full day of both indoor and outdoor yoga classes to suit all levels, live music, local artisans, beer garden and food vendors. City of Om celebrates healthy living, environmental sustainability and community. Yoga is for everyBODY! If you can breathe, you can do yoga. City of Om hopes to not only bring the existing yoga community together but also provide an introduction to people who are new to yoga by making the festival accessible and affordable. The festival will feature beginner and all-levels yoga classes, unique classes from multiple studios, teachers from all across Ontario, blacklight yoga, live music, speakers sessions and free family programming including yoga, face painting and a dreams/goals workshop for youth. City of Om believes in keeping things GREEN! The festival will be plastic-water-bottle-free with water stations on site, will promote recycling and composting, and festival patrons are encouraged to walk, run, bike, bus or carpool to Lansdowne Park. OC Transpo will be offering ticket-holders free transportation on the day of the festival! City of Om has an attitude of gratitude and is all about spreading good vibes by giving back to the community in the Nation’s Capital and beyond by partnering with The Royal Ottawa and providing a percentage of ticket sales in donation to bring a focus on Mental Health.